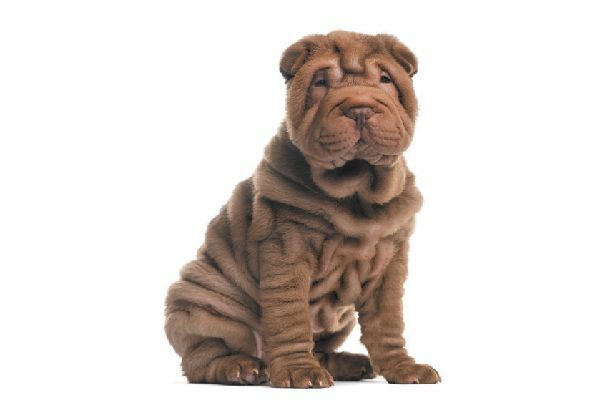 The post The Chinese Shar-Pei — 8 Fun Facts by Allan Reznik appeared first on Dogster. Copying over entire articles infringes on copyright laws. You may not be aware of it, but all of these articles were assigned, contracted and paid for, so they aren’t considered public domain. However, we appreciate that you like the article and would love it if you continued sharing just the first paragraph of an article, then linking out to the rest of the piece on Dogster.com. Ropes of wrinkles are never a fashion statement unless you happen to be talking about the Chinese Shar-Pei. From the rarest dog on Earth to Hollywood and Madison Avenue’s media darling, it’s been a wild and, at times, bumpy ride for the Chinese Shar-Pei since he first attracted this country’s attention 40-plus years ago. Let’s get acquainted with him and his unique story. The Chinese Shar-Pei became a media sensation in America through the 1970s and 80s. Photography ©GlobalP | Getty Images. It is believed that this ancient breed originated in Kwangtung Province and had lived for centuries in the southern provinces of China since the Han Dynasty (c. 200 BC). Artifacts bearing a great resemblance to the breed have been discovered and dated to this period. According to the Chinese Shar-Pei Club of America, a translation of a 13th-century Chinese manuscript refers to a wrinkled dog with traits like those of the Chinese Shar-Pei. Following the establishment of the People’s Republic of China as a communist nation, the dog population in that country was virtually wiped out. During this period, a handful of Shar-Pei were bred in Hong Kong and in the Republic of China (Taiwan). Documented history of the breed in this country dates back to 1966 when a few dogs were imported from stock registered with the Hong Kong Kennel Club. But it was the impassioned plea in 1973 of Mr. Matgo Law of Down-Homes Kennels in Hong Kong, begging dog fanciers in the United States to “save the Chinese Shar-Pei,” that launched a groundswell of support. Due to their rarity, a limited number of Chinese Shar-Pei arrived in the U.S. in the fall of 1973. The wrinkled wonders quickly became a media sensation, and that fascination continued through the 1970s and 80s. The Guinness Book of World Records proclaimed the Chinese Shar-Pei the rarest dog breed on Earth. Life magazine put a Chinese Shar-Pei on its cover. Every greeting card, calendar and fashion ad seemed to feature a Chinese Shar-Pei. Commercially minded breeders produced litters as quickly as impulsive buyers could pull out their credit cards. Good health was seldom made a priority, but puppies still sold briskly for thousands of dollars. The Chinese Shar-Pei craze eventually leveled off, and the buying frenzy cooled down. The American Kennel Club recognized the breed in 1992. The standard accepts coat lengths ranging from the extremely short “horse coat” up to the “brush coat,” not to exceed 1 inch in length at the top of the shoulder. A coat that is soft, wavy, longer than 1 inch at the top of the shoulder or one that has been trimmed are all considered major faults. Chinese Shar-Pei puppies appear to have wrinkles everywhere, but adults grow into their wrinkles. Photography ©WilleeCole | Getty Images. The Chinese Shar-Pei is a once-seen-never-to-be-forgotten dog with a host of unusual physical characteristics. 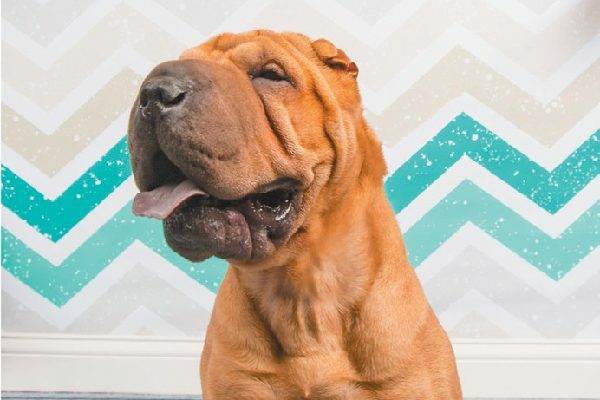 The breed standard describes the large Chinese Shar-Pei head as having a “hippopotamus muzzle shape,” with the lips and top of the muzzle well-padded. The tongue is blue-black, although in dilute colors a solid lavender tongue is seen. The eyes are small and sunken, giving a scowling expression. The ears are tiny and rectangular. Although puppies are wrinkled everywhere, the adults grow into their wrinkles, and the generous folds of loose skin typically remain about the head, neck and shoulders. The tail is high set, tapering to a fine point and curling over to either side of the back. 5. What colors do Chinese Shar-Pei come in? The breed is seen in solid colors ranging from black to light cream and including chocolate, blue, red and apricot of various shades. No color is preferred over any other. 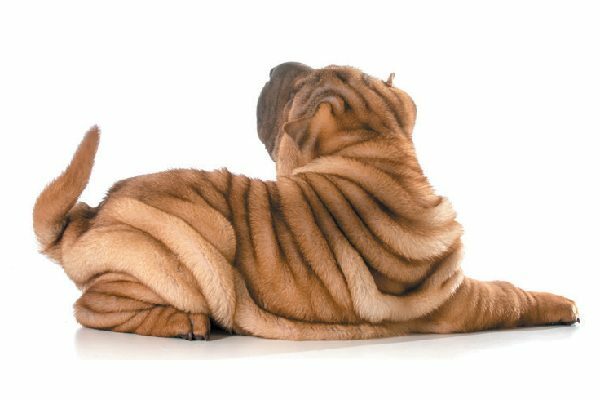 In sable Chinese Shar-Pei, the hairs are tipped in black, giving an all-over shaded effect. Since the standard stipulates solid colors only, brindles, parti-colors, spotted dogs (known as “flowered” Shar-Pei) and patterned dogs (like the black-and-tan markings of a Doberman) are all disqualifications. The Chinese Shar-Pei breed standard specifies height as 18 to 20 inches at the withers; weight 45 to 60 pounds. Males are usually larger and more square bodied than females, but both should appear well-proportioned. In the days of skyrocketing popularity, there were commercially minded breeders who promoted the Chinese Shar-Pei coming in three sizes, like Poodles. Steer clear of anyone trying to push a “Mini Pei” or “Micro Pei” and suggest these are more valuable representatives of the breed. No ethical breeder would misrepresent the breed to the public in this way. 7. What are Chinese Shar-Pei like with their families? Chinese Shar-Pei are loyal, devoted and affectionate to their families. Photography ©Holly Hildreth Photography. The Chinese Shar-Pei is independent, reserved and often suspicious of strangers. This is not surprising, having been bred as a guard dog. Nevertheless, the breed is extremely devoted, loyal and affectionate to his family and is amenable to accepting strangers given time and proper introduction at a young age. The Chinese Shar-Pei paid dearly for its wild popularity in the 1970s and 80s. Irresponsible breeders churned out litters of puppies sold at outrageous prices to buyers who craved the newest fad breed. Skin problems and eye disease plagued the breed for years. After the fad was over, those who were truly devoted to the breed focused on producing healthy, sound generations of future dogs. Find established breeders who health test their dogs and stand behind their reputation. A badly bred Chinese Shar-Pei of questionable temperament is no bargain. A great one is a very special dog. Thumbnail: Photography ©GlobalP | Getty Images. Allan Reznik is a journalist, editor and broadcaster who specializes in dog-related subjects. He is the former editor-in-chief of Dogs in Review and former editor of Dog Fancy magazine. A city dweller all his life, on both coasts, he now enjoys the rural South with his Afghan Hounds, Tibetan Spaniels and assorted rescues. I am read this article.This article is more informative and useful.Can dog eat coconut like and unlike clearly define. Specially dog food categories article define. A lot of thanks to share this articles. So i hope more valid content are describe there next articles.